A British princess apologized on Friday for wearing a brooch considered "racist" to Meghan Markle's first meeting with the royal family. 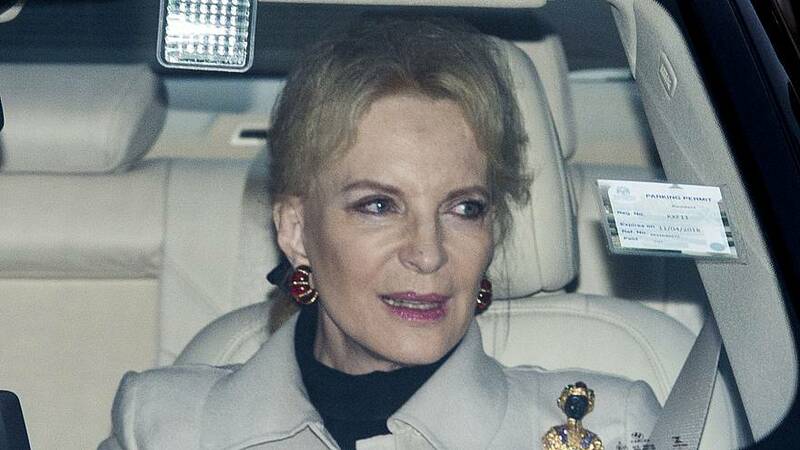 The apology came after Princess Michael of Kent wore a blackamoor brooch on her left shoulder to the queen's annual Christmas lunch at Buckingham Palace. Some deemed it a slight to Markle, who attended the event with her fiancé Prince Harry. Markle, whose mother is black, will be the first self-identified biracial person to become a high-ranking member of the royal family when she marries Harry in May. A spokesman for Princess Michael told the Daily Telegraph, "Princess Michael is very sorry and distressed that [the brooch] has caused offence." The princess is described on her website as a "Writer, Historian, Lecturer, Interior Designer and Art Consultant." The brooch appears to be nearly two inches in length and includes an antiquated depiction of a black figure that many contend exoticizes people of color. Blackamoor art often appeared in European furniture and jewelry between the 13th and 15th centuries, either depicting black individuals as subservient or as members of royalty. The use of the blackamoor aesthetic came up in 2012 when Dolce and Gabbana came under fire for using it in their brand's spring 2013 runway presentation. According to the Guardian, one of their models wore a pair of blackamoor earrings. Princess Michael's decision to wear the brooch comes as Markle and Harry's engagement has renewed discussions about the ongoing culture of racism and classism in British high society. Princess Michael quickly earned criticism on social media. The princess, whose father served as a Nazi SS officer before and during World War II, has drawn criticism in the past for other statements. In 2004, Princess Michael came under fire when she told a group of black patrons at a New York City restaurant to "go back to the colonies," the Guardian reportedat the time. She later attempted to defend herself when asked about the incident, telling ITV, "I even pretended years ago to be an African, a half-caste African, but because of my light eyes I did not get away with it, but I dyed my hair black." According to The New York Times, another moment of controversy came in 2007, when two British scientists said their research indicated that female baboons' rank is hereditary. "I always knew that when people who aren't like us claim that hereditary rank is not part of human nature, they must be wrong. Now you've given me evolutionary proof!" she reportedly said.